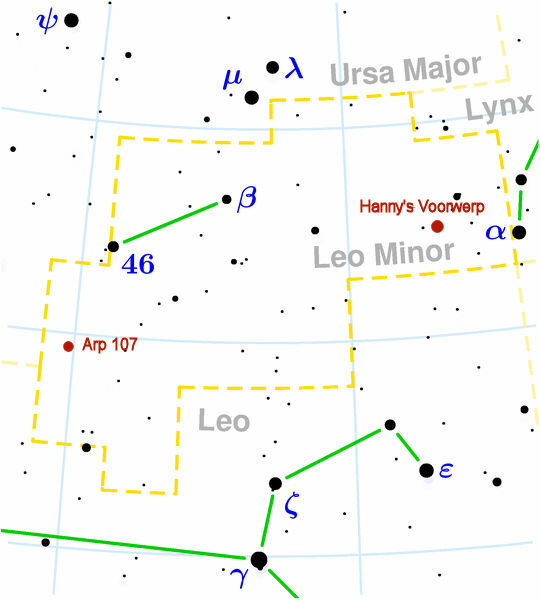 There is a constellation called Leo Minor that represents a lesser lion, just north of regular Leo. Johannes Hevelius added it in 1687. 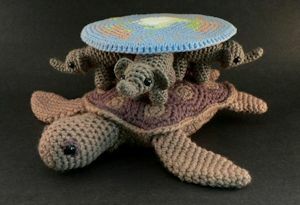 He sort of squeezed it in between Leo and the Big Dipper where there was a bit of unoccupied interstitial space. It’s like how Idaho was formed from the leftover region created by forming the surrounding states. And like Idaho, the tourist attractions are cheaper and less crowded. Arabs called the region The Gazelle because in nearby Ursa Major you’ll find three pairs of stars which are the tracks left by that critter as it went leaping by, and they are still appropriately called First Leap, Second Leap, and Third Leap. 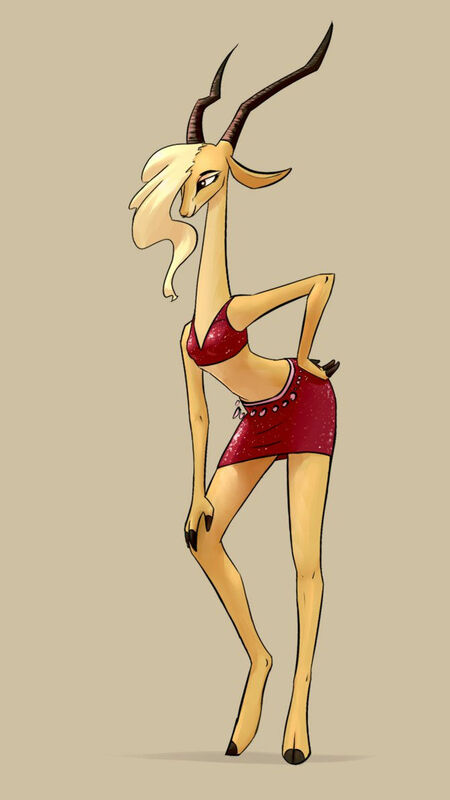 By the way, the word “gazelle” comes from an Arabic word that means “to flirt.” Not slutty flirting, and not sexual harassment stuff, just the right sort of flirting. 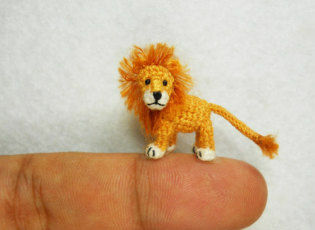 What does this have to do with Leo Minor you might ask? Nothing. But some older maps call this constellation Tabitha which is Aramaic for Gazelle. In the Bible a woman named Tabitha is a dressmaker that died but Peter raised her from the dead. Was she flirty? Did she leap about and have long legs? I’ll leave such ecclesiastical questions for another time. In 2007 a Dutch school teacher named Hanny van Arkel discovered a strange object in Leo Minor. The object’s name, Hanny’s Voorwerp, means Hanny’s Thingamajig in Dutch. It’s a quasar ionization echo, which is a title you may find just as illuminating as thingamajig. Basically a giant intergalactic conglomerate of atoms were ionized by the energy of a quasar in a nearby galaxy. And it contains more than just hydrogen, there is stuff like carbon and oxygen there. On its own Hanny’s Voorwerp shouldn’t be glowing the way it is so the hypothesis is that a powerful light from the core of the galaxy is shining on it like a flashlight. The flashlight has since switched off so we don’t see that, but the light itself hasn’t finished bouncing off the voorwerp, hence the word “echo” in the title. We’re seeing the light that bounced like an echo and is just now reaching us after the actual source is gone. How many more blobs of unseen junk wander between the galaxies? Who knows? But this object shows that the quasars of the early universe were up to shenanigans during their day, ionizing stuff, sanitizing things, and even contributing to the nuclear synthesis of elements like oxygen, way before stars made such things main stream. They’re the cosmic hipsters of a by-gone age. Arp 107 is one of the 338 objects in Halton Arp’s Atlas of Peculiar Galaxies. During the 1950’s astronomers finally got a peek at the far-away which is the long-ago. They were trying to sort out what led to all the weird creepy crawlers in the early jungle, the galactic dinosaurs as it were. 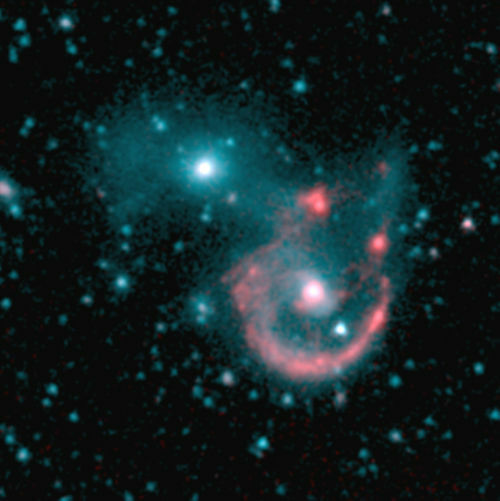 Some of those astronomers came up with some confusing ideas about it, as did Halton Arp. That’s okay, that’s actually a good thing. That’s how science is supposed to work. Now days we think we have a better grip on it, but it’s thanks in part to creative springboards like Arp challenging our more conventional theories. Future generations will no-doubt improve even further on our current models, assuming we win the war of the robot uprising.